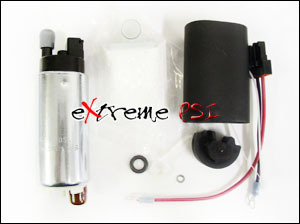 Walbro High Pressure Intank Fuel Pump provides easy replacement for most imports and supports 255lph. The Walbro fuel pump is an ideal upgrade for any car which has been modified especially with the use of nitrous, turbo or supercharger. The intank fuel pump makes for a clean, easy installation by replacing the factory unit. Want this item shipped out tomorrow, April 24? Order within the next 22 hrs 51 mins.